High Quality Accessories-disposable & Reusable. Sterilization facilities comply with En550 Standards (Sterilization of Medical Devices Validation and Routine Contorl of Ethylene Oxide Sterilization) - a dedication to make patient safety and product quality our top priority. 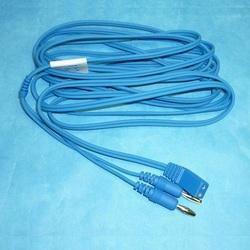 We are devotedly engaged in providing our clients with quality assured Cautery Reusable Cable.